If you have to fly somewhere you book a flight and if you are staying overnight on that trip you will probably have to book a room. For anyone that loves to wager money on sports, they have to book a bet. Very simply, the person taking that bet is known as a bookmaker. While the concept of booking a bet is easy to understand, the entire sports betting industry when it comes to being a successful bookmaker is far more complicated. The days of the local bookie hanging out at the neighborhood bar or pool hall writing down bets on a pad of paper are long gone. Advances in technology and sports betting software have revolutionized this industry over past several years and the role of the bookmaker has dramatically changed as well. Unless you live in a country with legalized sports betting parlors, the majority of the bets are placed on the Internet through an online sportsbook or independent sports bookmaker. The main difference between the two is the personalized one-on-one service that an independent bookmaker can provide to today’s highly sophisticated sports bettor. 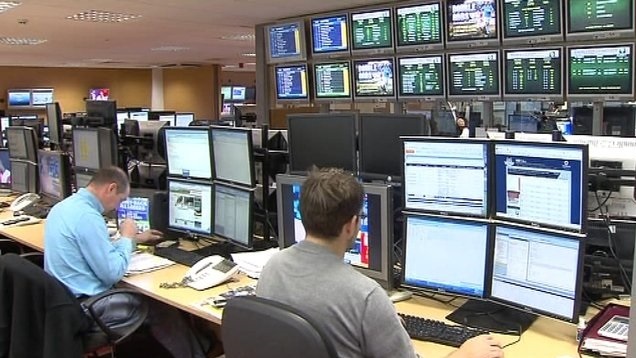 With the aid of a Pay Per Head service that usually handles all the day-to-day administrative tasks that go into processing transactions, the independent bookmaking agent provides their customer base with the means to place bets on sporting events. Many of today’s independent bookmakers utilize their own personalized website to both market their services as well as book the actual bets. As part of the process, most of the top Pay Per Head services in the sports betting industry today have operating systems and software packages that mirror what the big online sportsbooks use to handle sports wagers coming in from the betting public. The main benefit of working with an independent bookmaker is that attention to detail that often times the big online books find hard to match. Diversity is another important aspect of becoming a successful bookmaker. While American football is probably the heaviest bet sport overall, sporting events all over the globe are starting to catch the eye of today’s player looking to expand the scope of their sports wagers. An independent bookmaker controls their own betting board as well as the betting lines and odds they offer, but they need to be willing to offer a large selection of betting opportunities to meet their customer’s needs. Often times this includes an expanded racebook for horses and a full service online casino. It is critical that an independent bookmaker closely monitors the betting action coming in from their customers to avoid the negative exposure that can have a dramatic impact on their bottom line. Just like a big online sportsbook, the independent bookmaker is looking to balance the money bet on either side of a matchup. The ideal situation is to make the profit off the commission that is charged to actually book a bet, but if a bookmaker is not proactive in moving their betting lines to shift money to both sides of a bet they can quickly find themselves in a very precarious financial situation. Given the nature of the sports betting industry, there is a high level of risk/reward booking bets and the beauty of being an independent bookmaker is the ability to work with a hand-picked customer base. Bigger is not always better when it comes to a bookmaker’s overall cliental. The ideal customer is the person that loves to bet on a number of different sports on a recreational basis. It is best to let the industry sharps and other betting syndicates take their action to the big online books. A successful independent bookmaker will usually concentrate their efforts on building their base with the everyday betting public that can be heavily influenced with the betting lines that they offer.